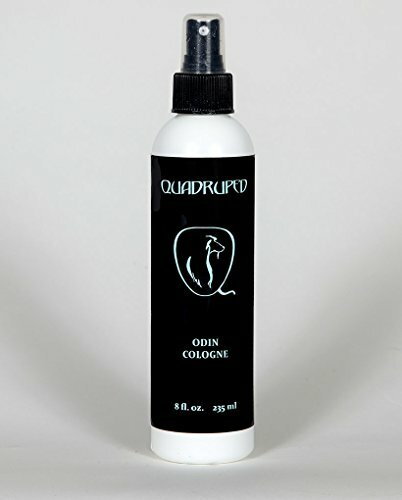 Odin's natural long-lasting fragrance balances its floral top scent with spices, apples and cinnamon on a base of vanilla, warm wood and musk. It matches the scent of our All In One, Tearless, Protein, Multi-Purpose, and Whitener/Brightener shampoos as well as our All In One, Texturizer, and Silky Coat conditioners. Use to reinforce aroma after baths or to freshen between baths. Safe for puppies. If you have any questions about this product by Quadruped Pet Care, contact us by completing and submitting the form below. If you are looking for a specif part number, please include it with your message.